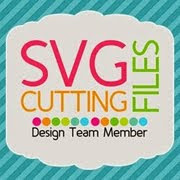 Santa's Village SVG Cuts New Kit!! The first time I saw this Unity Stamp, Unto Us, I knew I wanted to use it with the stable from SVG Cuts collection O Holy Night. I thought a 3D easel card would display it nicely and I wanted it very simple, the attention totally on the stamp. I colored the stamp using my Distress Markers on watercolor paper, I'm definitely getting better with them! The sentiment is also from the stamp set, which has two more sentiments included, I really love this set. 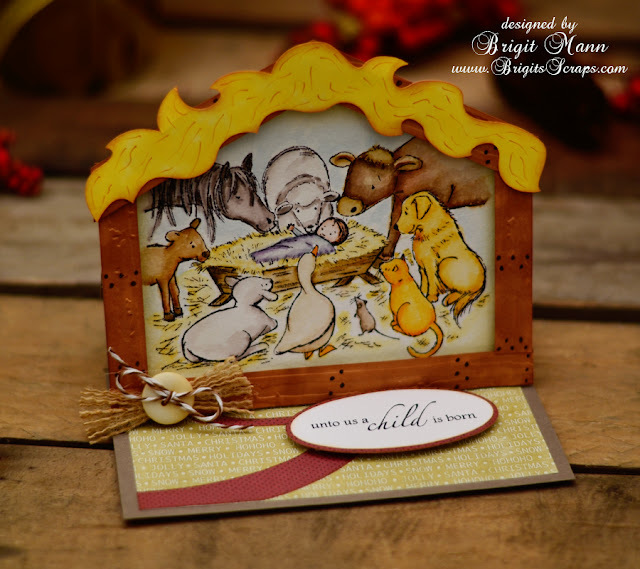 I used an embossing folder on the frame of the stable and popped it out with pop dots. I just added some burlap threads and a button with some Chocolate Truffle Trendy Twine. The pattern paper is from Carta Bella Christmas Day Collection. Continuing my making of shaped cards, here is the bell from SVG Cuts Shaped Christmas Cards kit. This time I used some pretty silver shimmering paper from SEI, you can't really see it well but in person it's so pretty! The poinsettia is from the 3D Wintergreens collection and the Silver Bells was a pnc done in MTC. Some Trendy Twine and the card is done, these shape cards are really so quick and easy. I love this paper, I'm so happy I have the digital collection, I definitely would be hoarding this stuff!! I just love the color combination and the patterns are just wonderful. The shaped hat card is from SVG Cuts Shaped Christmas Cards kit. It really is a Santa hat but I thought this pattern made a perfect childs hat, so I chose to embellish it with peppermints, a candy cane and of course a snowflake. Snow day sentiment and button are both from the Winter Fun collection, I did a print n cut with my Zing, it came out excellent! Both peppermints and candy cane are from the Holiday Treats collection and the snowflake came from the Clara's Christmas Eve kit, it's the perfect snowflake to add a button in the middle. The Trendy Twine is Peppermint Stick. Even the solid paper I used on the card is from the Winter Fun collection. 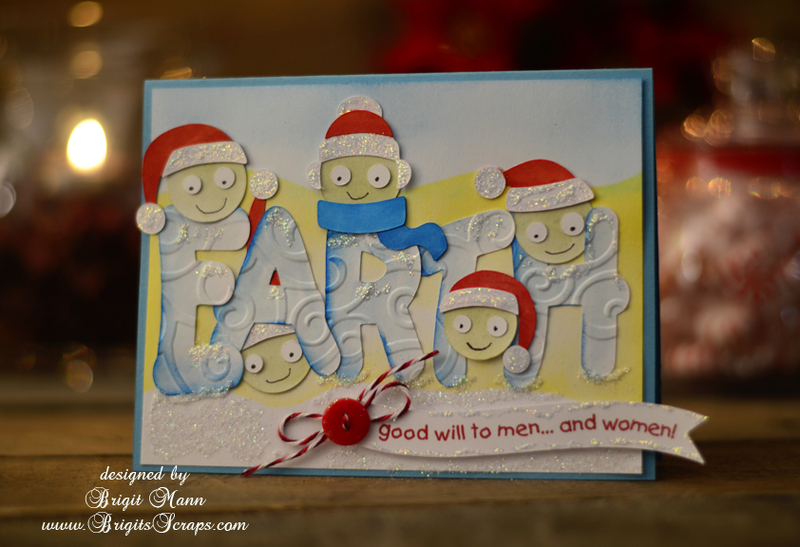 Just a quick card using Unity's Itty Bitty stamp Santa Baby, colored with my Distress Markers on watercolor paper. Some scrap pieces of paper, a couple of snowflakes and some Trendy Twine finishes it up. A very quick and simple Christmas card. I love to make shaped cards so I have and use both the Shaped Christmas Card and the Shaped Cards and Envelope Card kits. After embellished I just love how the cards come out as with this mitten card from the Christmas kit. I duplicated the top mitten layer and sliced it to create the white cuff, which I enlarged just a tiny bit. 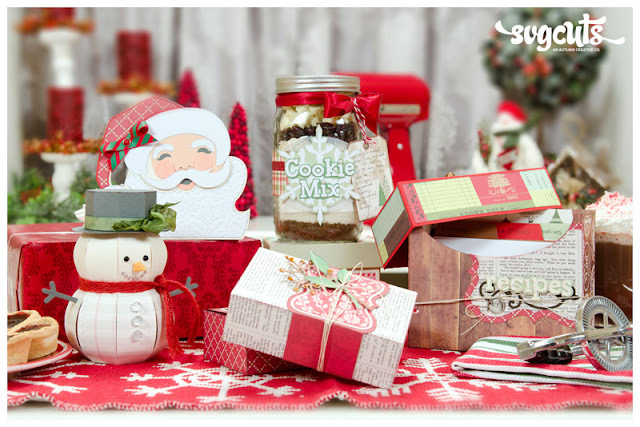 The peppermint sticks and poinsettia is from the Christmas Cookie Party collection, another kit I use often. The paper and tag is from Carta Bella Christmas Day digital collection. The sentiment is from Unity Stamps Season of Joy and the flower center was created using an Epiphany Crafts round 14 circle tool. A touch of Trendy Twine Peppermint Stick finishes the card. 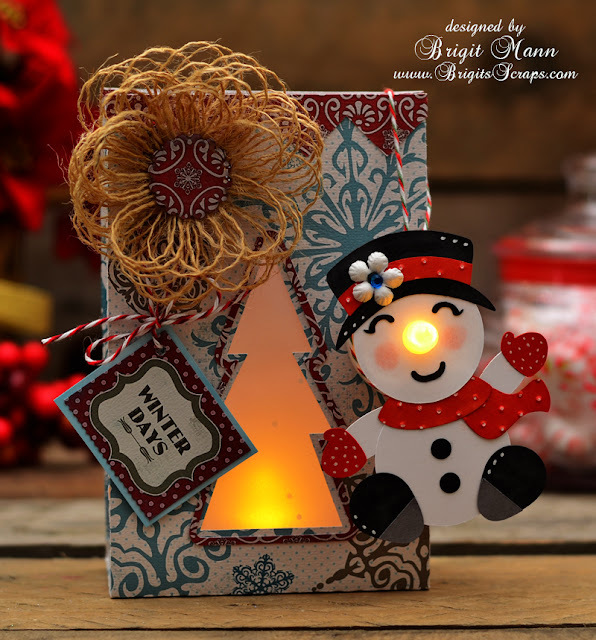 I am really lovin' these tealight ornaments, and wouldn't they make the cutest little gift inside one of the luminary bags from SVG Cuts newest kit, Home for the Holidays, how perfect! If you read my previous post this snowman is from the Christmas Cuddly Friends collection. Size all the snowman pieces to 3.2047 h except the scarf, that measured 3.2053 h and use a circle shape .375 and center that on the face piece merge/join, this will create the hole in the center so you can slide it over the bulb of the tealight. Christmas Candy Cane Trendy Twine is used on the snowman and Peppermint Stick for the tag. For the bag and tag I used Carta Bella Winter Fun digital paper. To create the center of the burlap flower I used one of the Epiphany Craft tools. I love the cute tealight snowmen I've seen on Pinterest they are just adorable. 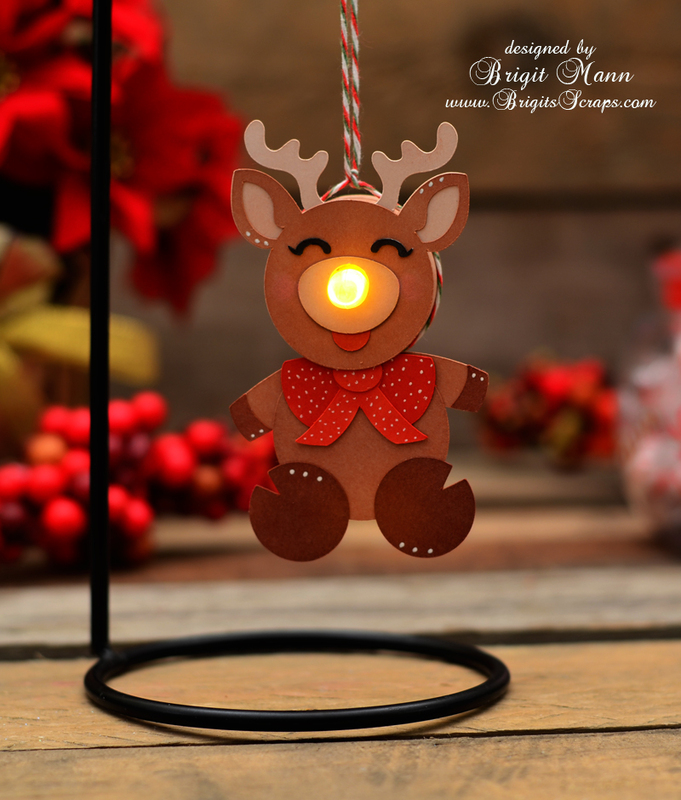 I thought a Rudolph one using SVG Cuts Christmas Cuddly Friends collection would be just as cute. I think I'll make the snowman from the collection too, in fact I think all the cuddly friends would look great with tealight noses! If you would like to make this here are the sizes that I used. I then used a basic circle shape resized it to .375h duplicated two more and centered them in the middle of the two face pieces and merged/joined, it's not quite in the middle of the snout you can see in the picture. I also used a half circle for his tougue. Assemble Rudolph and then you can glue it down onto the tealight, it makes an adorable ornament!! I tied some Trendy Twine Christmas Candy Cane around it so it can be hung. 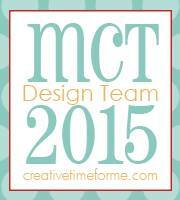 I'm linking this to Paper Issues Happy Holiday Projects! Bright and Merry Winter Wishes! Here's a quick card using a set I just received from Unity Stamps, Bright and Merry Winter Wishes. There is a 50% off sale going on right now which ends tomorrow at 12:00 noon cst, use, check out their website for more info. I used Tim Holtz Distress Markers on watercolor paper, I really need to work with them more, but I do enjoy using them! The Trendy Twine is Christmas Candy Cane which is a must for the Holiday season! I really like the simplicity of the card! 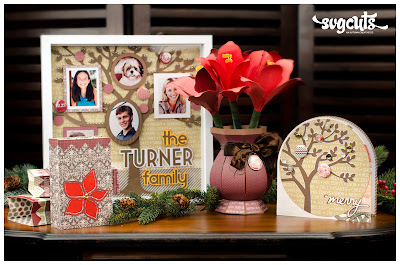 I love SVG Cuts new kit Home for the Holidays, the Pitcher with Flowers is just stunning, the Familty Tree Shadowbox makes a wonderful gift, the three Luminary Bags are lovely and can be used as decor or gift giving and the card is so elegant. Here is my take on the card, when I first saw it I just pictured a winter scene with a beautiful red cardinal! The card is so quick and simple to put together, I just love it. The cardinal is from the Christmas Cookie Party collection, I use many pieces from this kit for different cards, to me it's a must have collection. 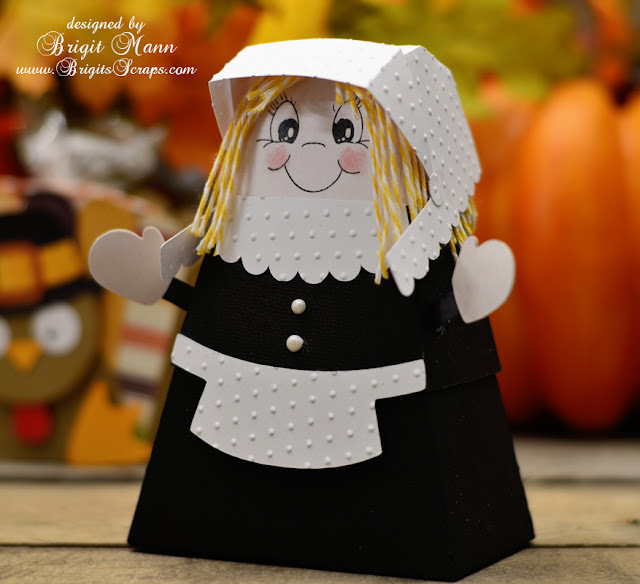 The Christmas Blessings is a Punkin' Patch Stamp from the Gingerbread Kisses set. The Trendy Twine is Tickled with Teal which goes perfectly with Echo Parks Winter Wishes digital paper that I used. The snow was made using the shaving cream and glue technique which I then sprinkled with glitter. I cut the tree out in white and used a brown promarker to quickly color around the branches to give it a snowy look. Don't forget to check out the new kit Home for the Holidays, you won't be disappointed, it's free this week with a purchase of $9.98, just use the promotional code FREEGIFT when you check out. 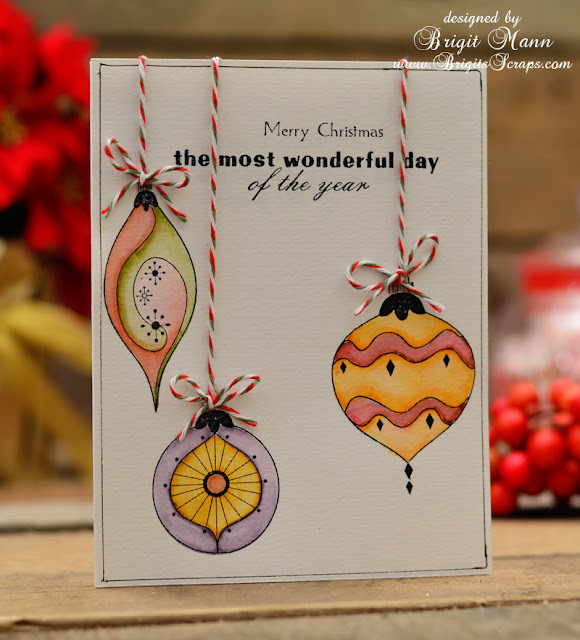 I'm linking this card to Paper Issues Happy Holiday Project Challenge! 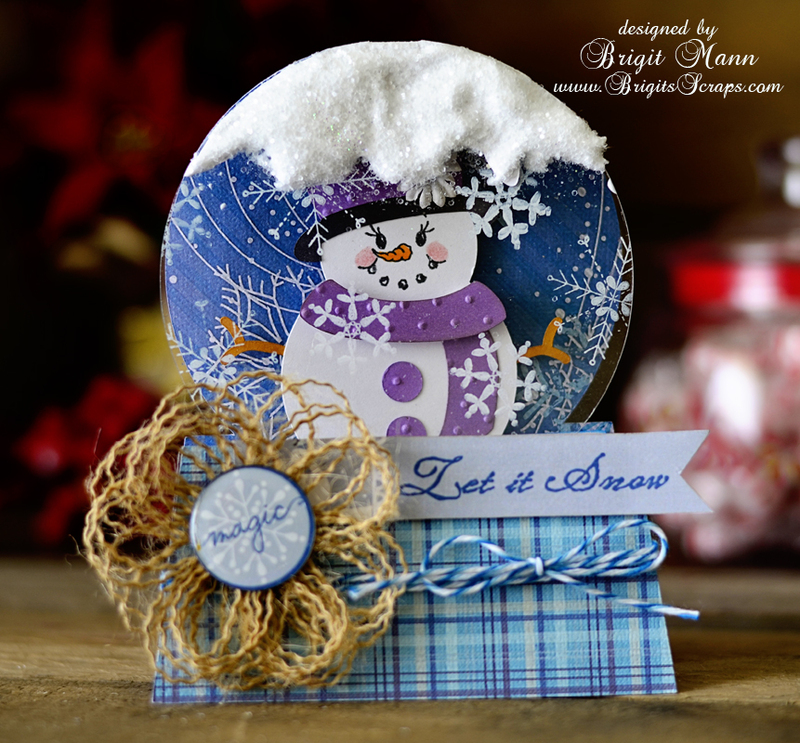 With winter coming I've been seeing so many snowglobe cards that I couldn't resist making my own to compliments SVG Cuts Snowmen Villiage Kit. I know there are many of these templates throughout the web but I wanted to make my own, you can download the file down below. I cut the front in overlay transparency, but any kind of acetate that you can cut will work, a little heaver the better. I also used my shaving cream and glue technique for the snow on top, I explain that here. The fringe burlap flower is an old technique from Aleene's, here is the video link showing you how to make this pretty flower. I used fabric tac, it dries quickly or you could use hot glue. The pattern paper, sentiment and magic button are all from Echo Park's Winter Wishes collection, I just love it, very pretty colors!! I used Epiphany Crafts Round 25 Shape Studio Tool to form the 3D button. The Trendy Twine color I used is Blue Berry! I stamped Unity's Season of Joy snowflakes on the overlay. Face stamps are Peachy Keen Winter Faces. Click here for the Snowglobe SVG file. 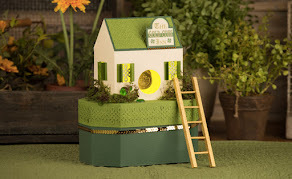 Another Challenge starts today over at Anything But A Card don't forget to enter! The giveaway for this challenge is a stamp set by Lawn Fawn, go check them out! For my Design Team project I used the big mitten background stamp from Unity Stamps. I stamped it on a piece of muslin that I doubled over and cut both out together. I sewed around the mitten but left the top opened for a giftcard and a couple of peppermints!! I threaded a piece of Christmas Candy Cane Trendy Twine to close the top. The tag is also from Unity Stamps, the Christmas in the Kitchen set. 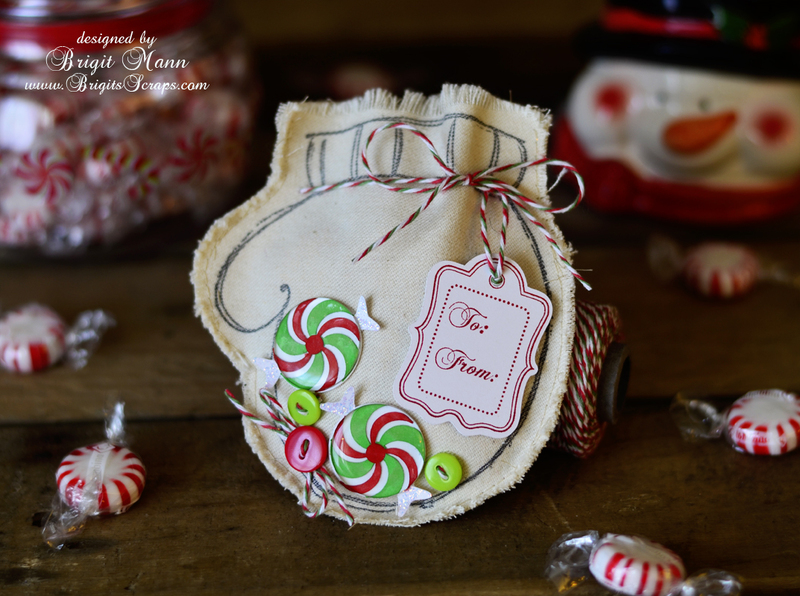 I used the peppermint card from SVG Cuts Clara Christmas Eve kit to make the peppermints and added Epiphany 1" bubble caps over them for the 3D look. I really love this tealight easel card, definitely a nice card to give at Christmas time. I created a template to make it easier for people with a cutter to put it together, just add your own embellishments!! I have the card layered, just ungroup it in eCals or right click the layer in MTC and click To Each Its Own. The card base measures 11 x 4.25. And just in case you didn't see how this card goes together in my other post, check out Dawn's video here. 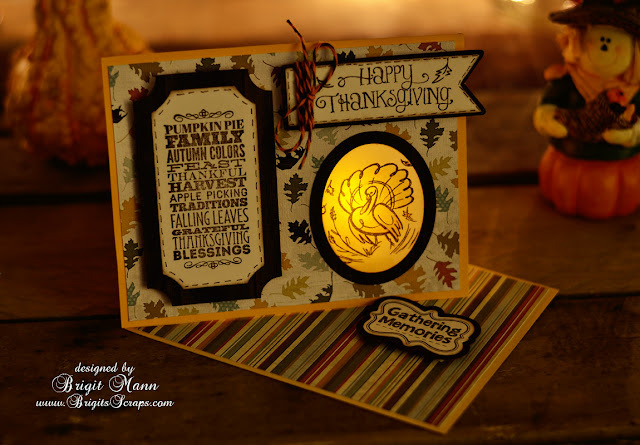 Here is my Thanksgiving card I made for the Trendy Twine November Challenge using Orange Truffle Trendy Twine. 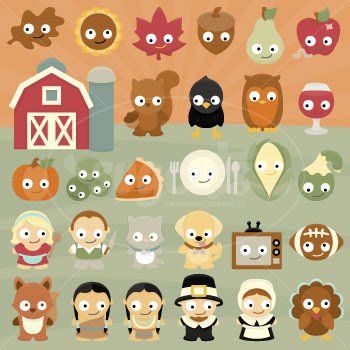 The Happy Thanksgiving, Gather Memories and Turkey stamps are Punkin' Patch Stamps and the Pumpkin Pie, Family, etc is a Unity Stamp, Pattern Paper is Echo Park's Fall Fever. If you do make it I would love to see, just leave me a comment with your card post!! 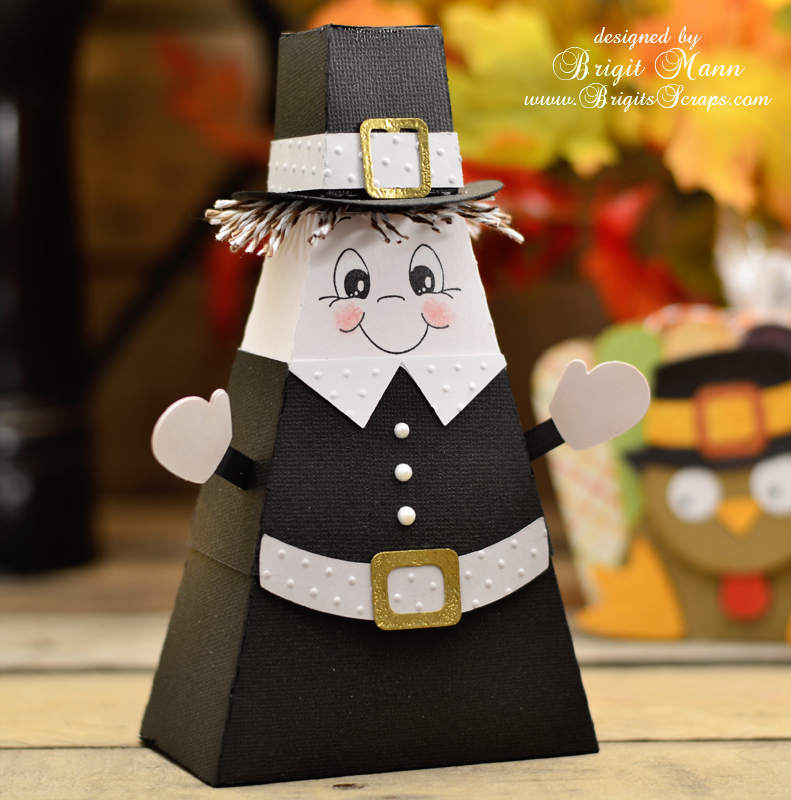 My SVG Cuts DT Project Pilgrim Treat Boxes! 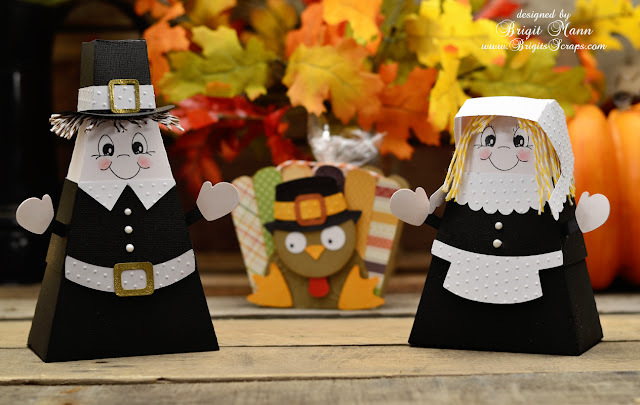 Here is my SVG Cuts Thanksgiving Design Team project, Pilgrim Treat Boxes! These are super quick and easy to make, I really enjoyed putting them together. For full instructions on how to make and what files I used click here. The cute turkey box in the background is from the Happy Thanks kit, such a cute box to fill with treats and place at each dinner setting. The boy pilgrim I used Chocolate Truffle Trendy Twine for his hair. And for the girl pilgrim's hair I used some Lemon Tart Trendy Twine. 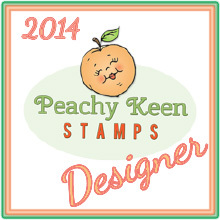 Face Stamps are from Peachy Keen Stamps Everyday Character Assortment set, I used the largest stamp in the set. 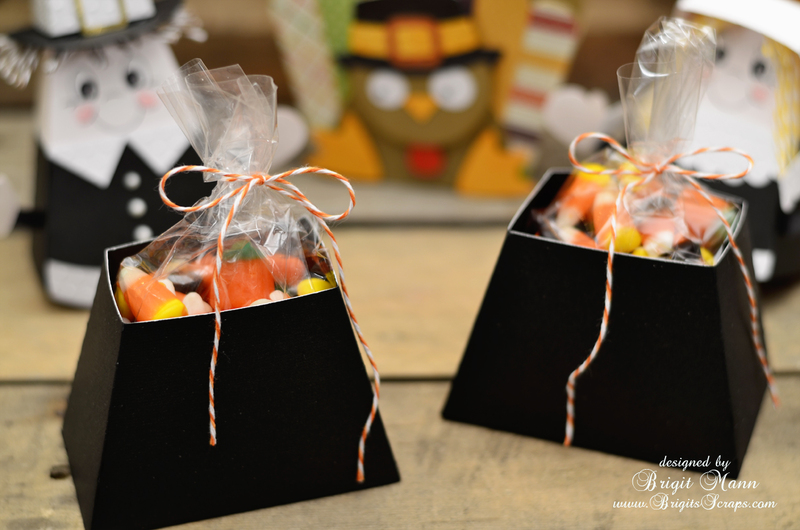 Here they are opened filled with bags of treats and closed with some Orangesicle Trendy Twine. I hope you get a chance to make these, would love to see, just leave me a comment with your blog post or post them to the SVG Cuts Facebook page. 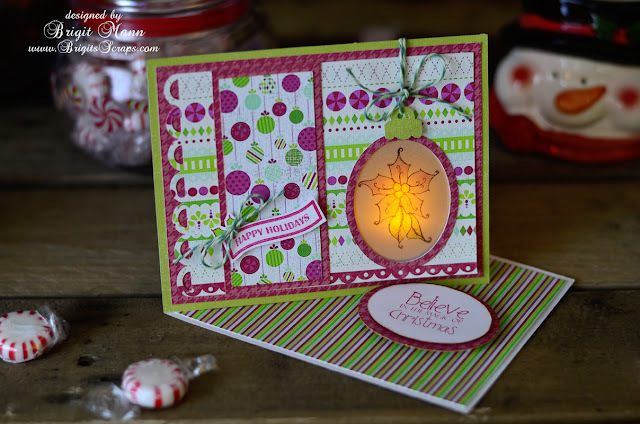 I love watching Dawn's videos from Dawn's Stamping Thoughts, she always has such great projects! When I saw the Peek A Boo card that she made I just had to make my own, click here for Dawn's video on how to make the card. I made mine in Make the Cut, but you can make it just with an oval punch like Dawn did, very simple and turns out great!! I love how it opens on the diagonal and the tealight really lights it up! I used Unity Stamps from the August 2012 KOTM, I stamped the poinsettia with black stazon and then colored the backside of the vellum with promarkers. 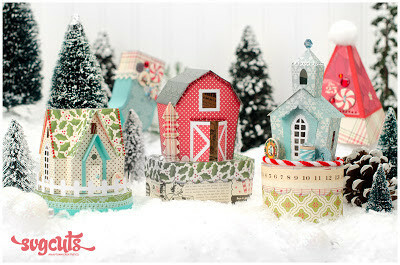 The pattern paper is Carta Bella's Merry and Bright digital that is available now at www.jessicasprague.com. The twine I used is Twisted Lime Trendy Twine! SVG Cuts new kit, Christmas Open House came out today, I love this Santa card that's in the kit it's so adorable. It's perfect for the mixture of glue and shaving cream to create the fluff for all the white pieces which I finished with a touch of glitter! 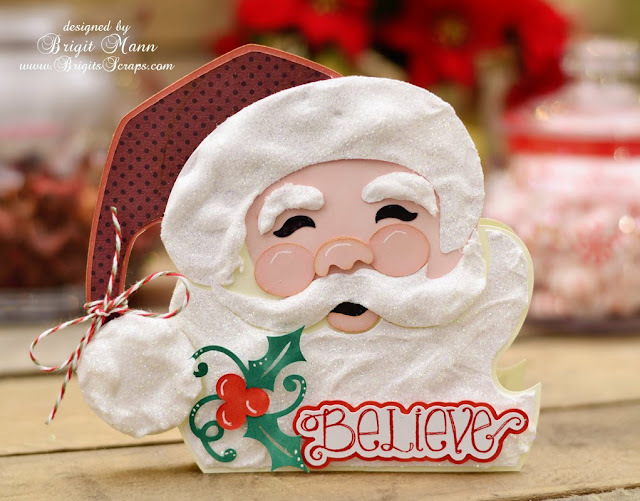 I add the holly from the Christmas in the Village collection and the Believe is one of Punkin' Patch Stamps from the Gingerbread Kisses set. Pattern paper is Carta Bella's Christmas Day and Twine is Christmas Candy Cane Trendy Twine, a must have for the holiday season!! I mix about equal parts of white glue, (elmers, tacky glue, etc) and shaving cream, (not gel) and just spread it over the white pieces and then sprinkle with some white glitter. Just to add, I put the mixture on the pieces first and then glued them on, but I have also glued pieces first and then added the mixture so both ways work. Here is the rest of the kit, I love the snowman, isn't he so cute!! I love this Itty Bitty Stamp by Unity called Most Wonderful Time. I used my Distress Markers on it, I'm still getting use to them but I really like them a lot. The pattern paper is digital Christmas Day by Carta Bella, I'm so happy they have this now at www.jessicasprague.com, hope they get their other collections in. The twine is Peppermint Stick Trendy Twine, my favorite, I'm really lovin' my Trendy Twine, I don't know if I will ever use ribbon again, LOL!! I seen this cute stamp with peas on top of the word earth online and I just loved it, so when I saw the three peas in SVG Cuts new collection Thankful Cuties I knew I wanted to make this card. I did a print n cut for the banner and sentiment to add my own spin on the card. All the santa hats are from different SVG Cuts collections and I used the First-Grader font for the word earth. The twine I used is Peppermint Stick Trendy Twine, it's so pretty I love it!! Thankful Cuties SVG Cuts New Collection! Fall Cards Even With No Power!! So being without power all week I decided yesterday to go up to my craft room and make something while I still had light. 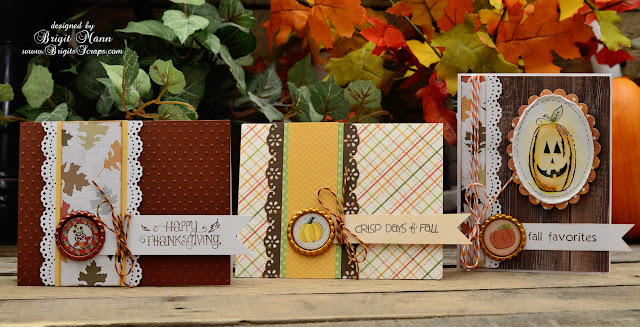 Here are a couple of cards I produced without my cutting machine, three simple fall cards. The three bottle caps I used are from Empty Nester Crafts aren't they cute, and I've seen some of Tracy's Christmas ones and they are just adorable!! The first two cards I used stamps from Punkin' Patch Stamps and the last card the pumpkin and sentiment is from Unity Stamps! I colored the pumpkin with Tim Holtz Distress Markers. Twine used, Orange Truffle (Thanksgiving) and Orangesicle Trendy Twine. All the pattern paper I used are scrap pieces, I really need to get this huge pile I have down! !